Gary practices civil litigation and ADR. His litigation practice areas include a wide range of commercial and insurance (defence and subrogation) matters. He is certified by the Law Society of Upper Canada as a Specialist in Civil Litigation. He also holds the designations of Chartered Mediator and Chartered Arbitrator from the ADR Institute of Canada. He has a Diploma in International Commercial Arbitration granted by the Chartered Institute of Arbitrators, London, England and is an associate member of the Institute. Gary is presently an Adjunct Professor of Law at Osgoode Hall Law School, where he teaches “Introduction to the Theory and Practice of Mediation and Arbitration”. Gary is a frequent speaker and training coach for the Advocates Society and other professional bodies. 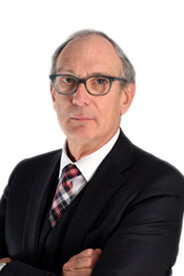 He was selected by his peers to be included in The Best Lawyers in Canada in the specialty of Alternative Dispute Resolution for the last several years. Gary M. Caplan, “ A Primer on Waiver of Subrogation and Covenants to Insure”: (2016) 45 The Advocates Quarterly , at p. 466.